A nourishing lip balm that hydrates and repairs the lips as soon as it’s applied. With its thick, non sticky formula, it protects the lips from climatic aggressions (wind, cold, and sun). It can be used in all seasons. Apply as much as you’d like to the lip area and lip contour. This balm’s thick, non-sticky formula is rich in botanical lipids with nourishing virtues. It can be used by all the family in both the summer and the winter. 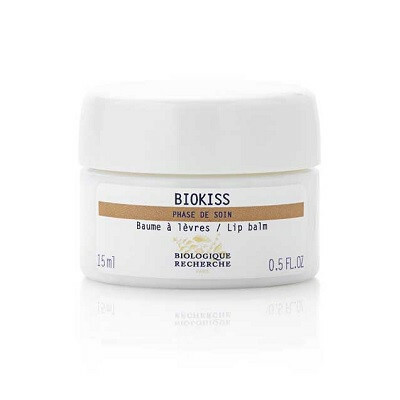 Apply BioKiss as often as you wish to the lips and the lip area.